The suspect of the Paris attacks identified on Monday as the mysterious ‘Soufiane Kayal’ is a Belgian citizen for whom an international arrest warrant was issued already in 2014. That did not prevent him to return from Syria and supposedly serve as bomb maker for the terrorist plot. Early in December of last year, a wanted notice was distributed for Kayal and his companion Samir Bouzid2, stating that their names were false, but that both men were present in the car of Paris suspect Salah Abdeslam during a control at the Hungarian-Austrian border on September 9, 2015. On the 5th of October, the passport of Kayal was used to rent a house in Auvelais, in the southern Belgian province of Namur. A house that was subsequently used by several of the Paris suspects. Apparently it was meant to store explosives, since a perfectly dry basement was asked. It was thought for quite some time that Kayal and Bouzid only have had a limited role in the logistics of the attacks. But a reconstruction of the telecommunication between all different actors learned that they coordinated the attacks in real time from somewhere in Brussels. In hindsight it seems odd that it took so long to identify Kayal, since Laachraoui is one of 30 defendants at a terrorist trial that started in Brussels a month ago. All the accused belong to the network of Khalid Zerkani, the very same jihad recruiter who has sent Abaaoud to Syria. 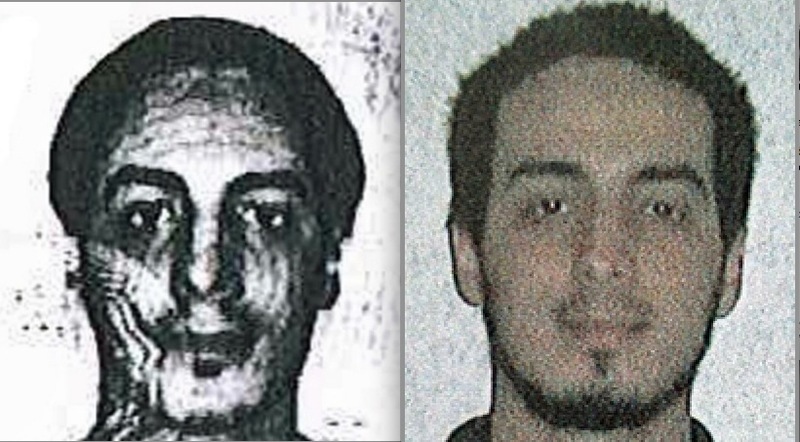 Laachraoui left for Syria himself in February, 2013. Investigators say that he became responsible for the reception of new recruits, and for that significant role within the terrorist group Islamic State, the maximum of 15 years in jail was asked against him. The verdict is expected in May. It is in the official complaint for the so-called case ‘Zerkani-bis’ (the first trial concluded last summer and convicted Abaaoud to 20 years in jail) that the two year old international arrest warrant against Laachraoui was revealed. More precisely, it was issued on March 18, 2014.